September 12, 2018 3:10 pm. 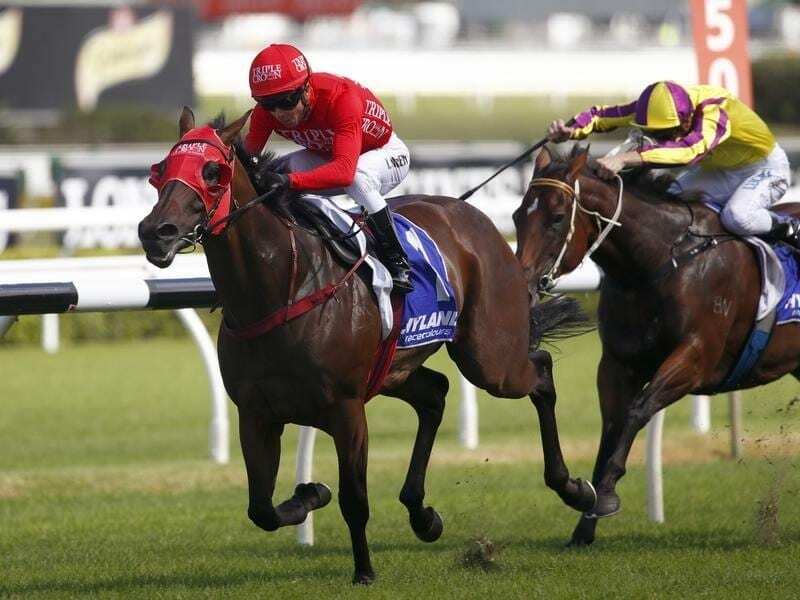 Redzel will take on three other confirmed runners in The Everest in a lead-in race at Randwick. It will be the Winx show at Randwick but the George Main Stakes meeting will be equally significant for several The Everest contenders headed by defending champion Redzel. Redzel will clash with fellow Everest slot holders Brave Smash, English and Invincible Star in the Group Two Shorts on Saturday. The gelding won the corresponding race last year en route to his historic victory in the inaugural running of the world’s richest race on turf. But there was a one major difference. Twelve months ago Redzel hadn’t yet secured an Everest slot whereas this time around he is a confirmed starter and $5 favourite to defend his title. In an ominous warning to his horse’s rivals, co-trainer Paul Snowden says the six-year-old is going at least as well this spring. “Possibly better I think,” Snowden said. “This year he’s definitely not as forward as he was last year and he’s running similar times if not a little bit better. Redzel resumed with a first-up Group Three win over 1000m and steps up to 1100m, a distance he has won over five times. Snowden respects the toughness of Saturday’s field but has few nerves. “It’s hard to go to the races and not be confident when you’ve got Redzel,” Snowden said. “You know he’s going to turn up and run through the brick wall for you. Redzel’s march towards a defence of his The Everest title will be overshadowed on Saturday by Winx, who is expected to claim the George Main Stakes for the third year in a row. The champion will have seven rivals, four of them stablemates including emerging Chris Waller-trained mare Unforgotten. El Dorado Dreaming will run for Kris Lees in the Tea Rose Stakes after being transferred from Ben Smith. Smith has been suspended by stewards on two charges, including one of giving false evidence, following a stable inspection on Tuesday that was prompted by irregularities in samples taken from two of his horses. Smith has appealed the penalty and applied for a stay of proceedings.